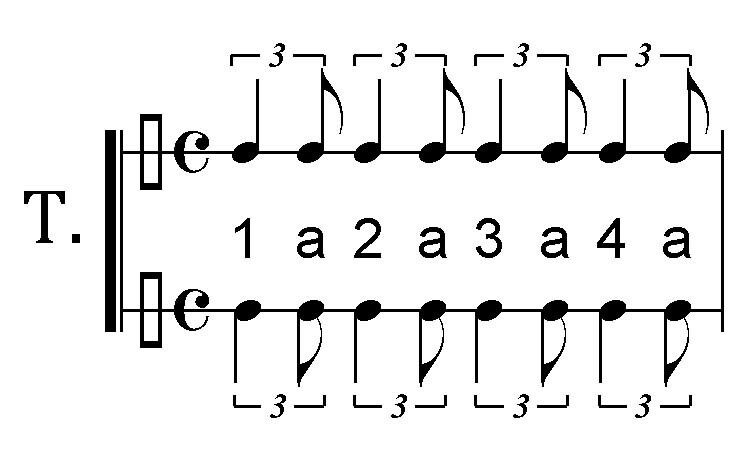 It is possible to count and play many of the highly syncopated six-eight patterns, especially on the A-Z Series Page Four, as four-four tuplets - that is, with four main beats in the bar, each divided into three, making a total of twelve mini-beats to the bar. Download the music for the A-Z Series Variation T on here. 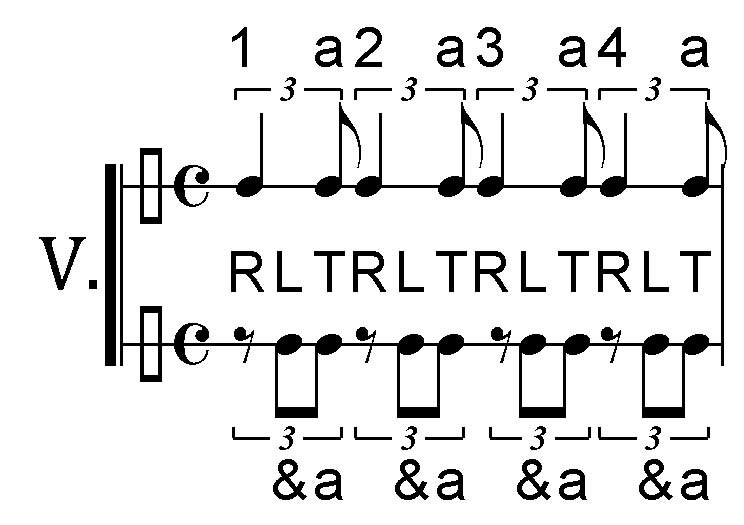 A full unison bar of four-four tuplet galloping-horse rhythm. 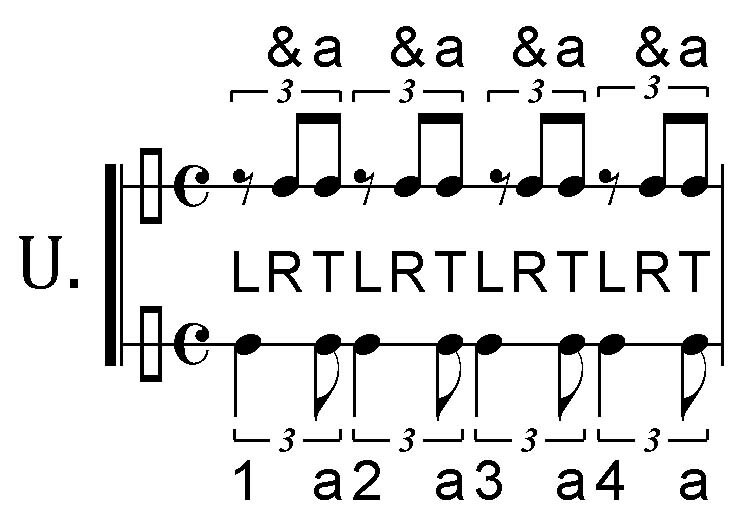 Here is the HCV-T rhythm demonstrated in a static five-finger position. The right hand plays all the beats except the main (number) beats. Preparatory steps demonstrated below if needed. 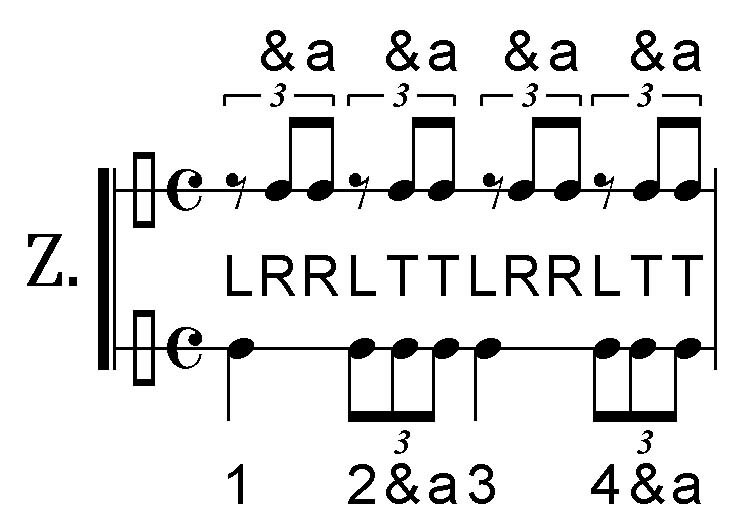 Here is the HCV-U rhythm demonstrated in a static five-finger position. This is pattern HCV-U inverted (i.e. with the hands swapping rhythms). 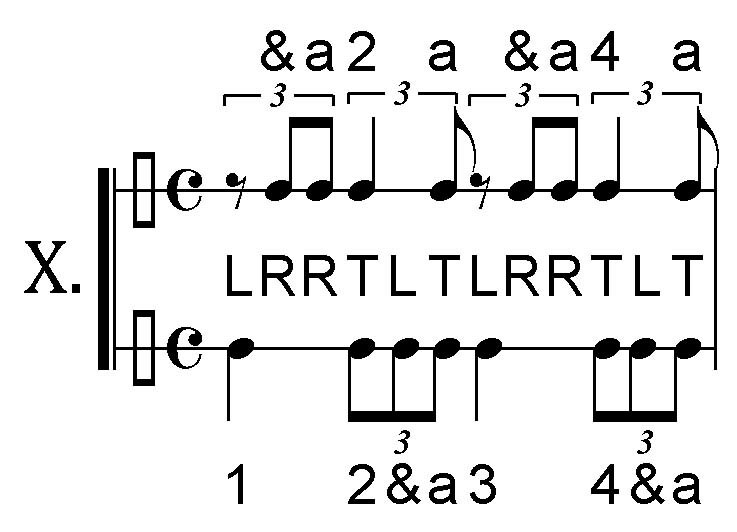 Here is the HCV-V rhythm demonstrated in a static five-finger position. 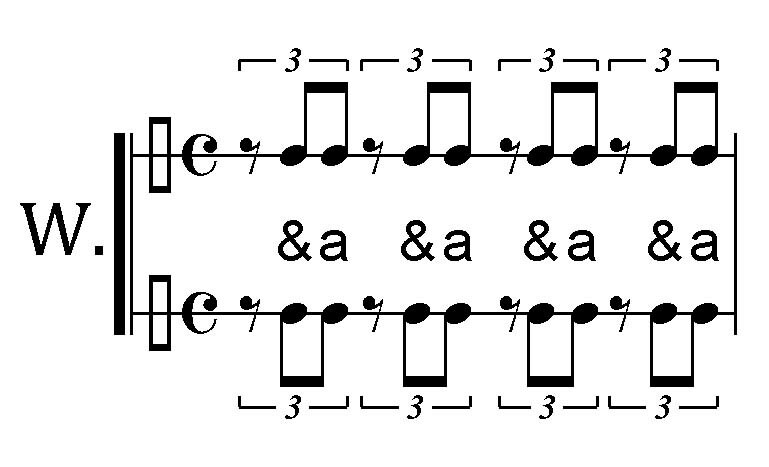 Here is a slower build-up of the two-handed HCV-V syncopated pattern. Here is the HCV-V rhythmic template applied to Hanon No.5. Now neither hand plays on the beat. 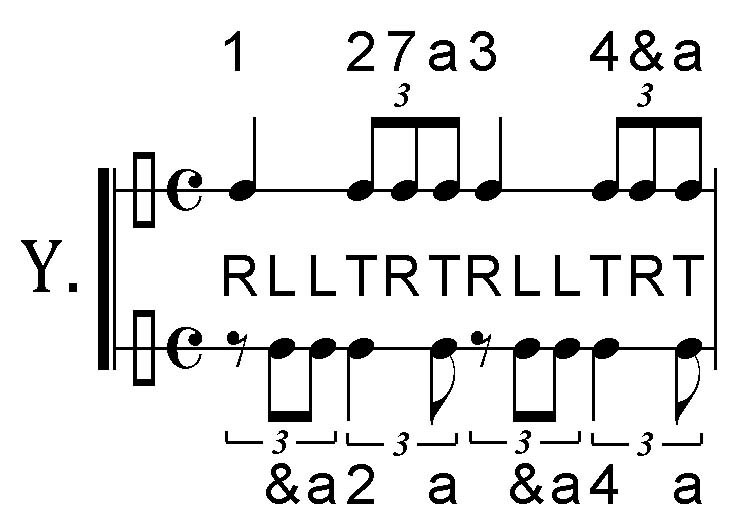 Here is the HCV-W rhythm demonstrated in a static five-finger position. A more comfortable two-handed pattern. Here is a demo build-up of the two-handed HCV-X syncopated pattern. This pattern is the previous pattern inverted. Here is a demo build-up of the two-handed HCV-Y syncopated pattern. Listen hard to the accuracy of your playing. Invert at will. Here is a demo build-up of the two-handed HCV-Z syncopated pattern.